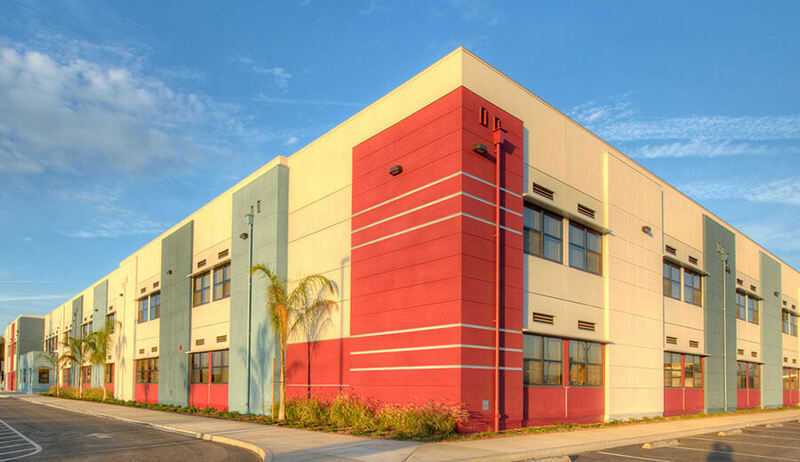 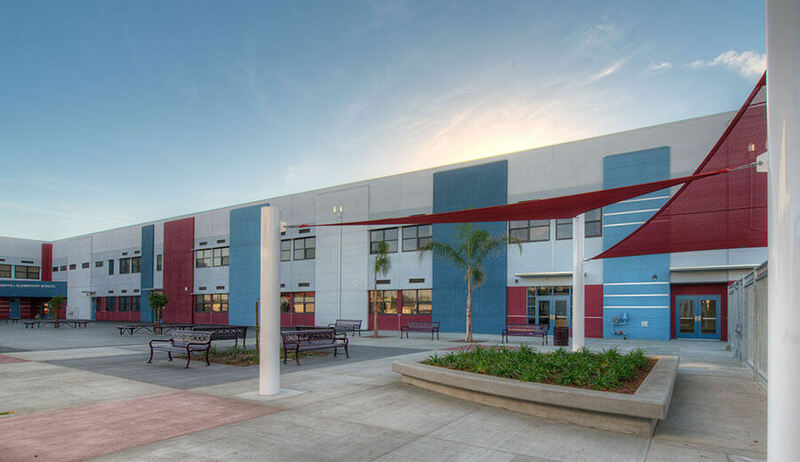 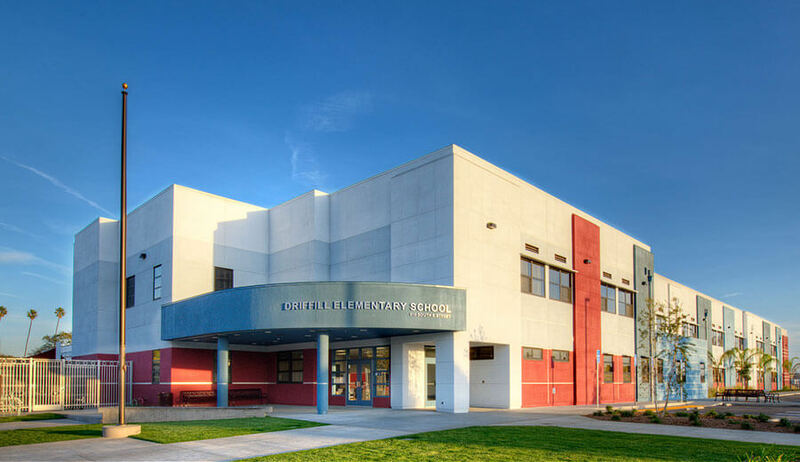 Soltek completed a phased project for the Oxnard School District, consisting of the construction of a new $17.4 million 63,000 sq. 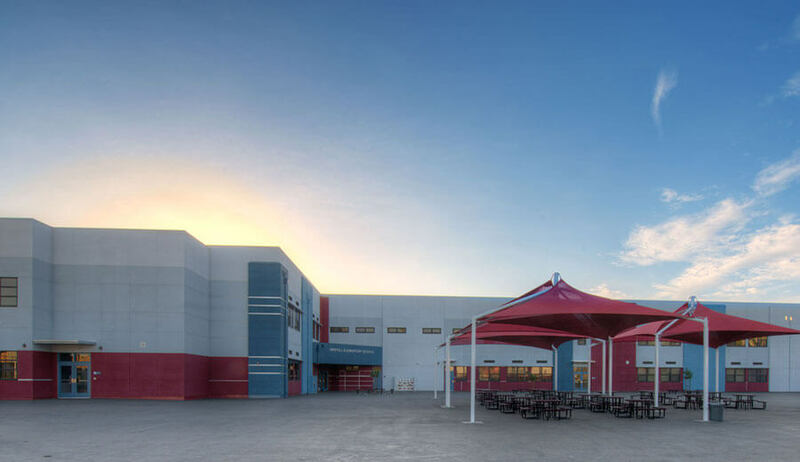 ft. multi-story administration and classroom building with covered walkways, re-surfaced and expanded playground area, new faculty parking lot with low maintenance landscaping which integrated walkways and designated meeting areas with seating in the courtyards– utilizing free standing shade structures and integrated ADA access, a fully expanded and renovated sports field and repainting of the entire existing school buildings. 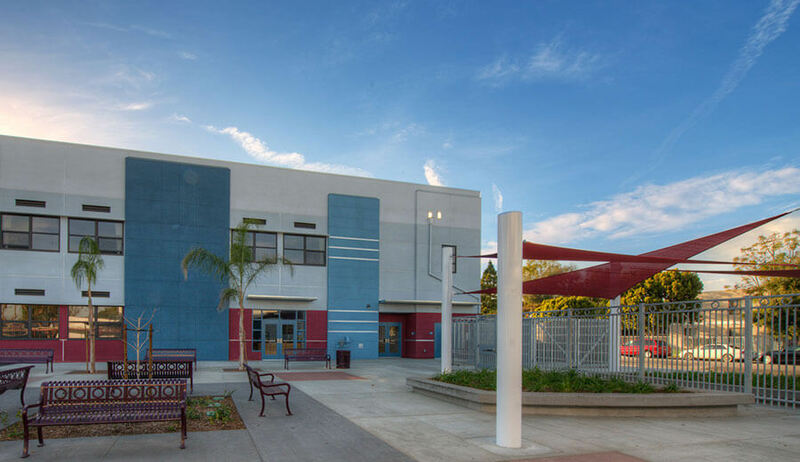 The project also included off-site improvement for the City of Oxnard which includes new expanded ADA compliant sidewalks on two sides of the school campus, a bus turn out lane at the front of the school, replacement of an existing City of Oxnard-owned 8” sewer line running through the school site easement, three new fire water lines and hydrants accessed from surrounding City of Oxnard utilities, upgraded Southern California Edison transformer and vault and a new Gas Company service configured to replace and upgrade the existing service to the school and to provide service for the new building.